If you need an alternative source of business funding, a merchant cash advance online from Merchant Cash Group may be the right choice for you! Merchant cash advances are simple. Instead of a bank loan with monthly payments, you get working capital from Merchant Cash Group with daily payments based on a percentage of your future cash and/or credit sales. Because a business cash advance is based on your future sales, you have a better chance of qualifying for a merchant cash advance online versus a traditional business loan. Still wondering if a merchant cash advance is right for you? Securing a traditional bank loan to open a new store, purchase inventory or invest in new equipment can be quite difficult and time consuming. Bank loans require an extensive vetting process and if you’re denied, you’ll be back at square one. That’s why a merchant cash advance online is a great option. You can get approved for a merchant cash advance in a matter of hours and receive funding in as little as two days, allowing you to quickly capitalize on the momentum of your business. You don’t have to wait around for a traditional bank loan! If you have bad credit, you will most likely be ineligible for a bank loan. That means you’re going to be out of luck with most traditional lenders, even if you’ve taken steps to rebuild your credit score. But a merchant cash advance from Merchant Cash Group does not require a high credit score. In fact, you can receive funding with no credit check. As long as your business has a solid track record of steady sales, you can receive the funding your business needs to succeed very quickly. If your business makes the majority of its sales during a particular time of year – such as a retail store that relies on Christmas to get “in the black”, a merchant cash advance is a great idea. It gives you the cash flow you need throughout the year even when sales are slow. You’ll receive funding based on the sales you generate during your busiest time of year when your volume is at its peak. Then when sales slow back down, you can renew for an amount that fits your sales volume during that time of year. In general, your merchant cash advance will be geared towards your sales volume as it increases and decreases. One more advantage for a merchant cash advance is that you only have to be in business for at least 6 months. Traditional lenders require a much longer period. 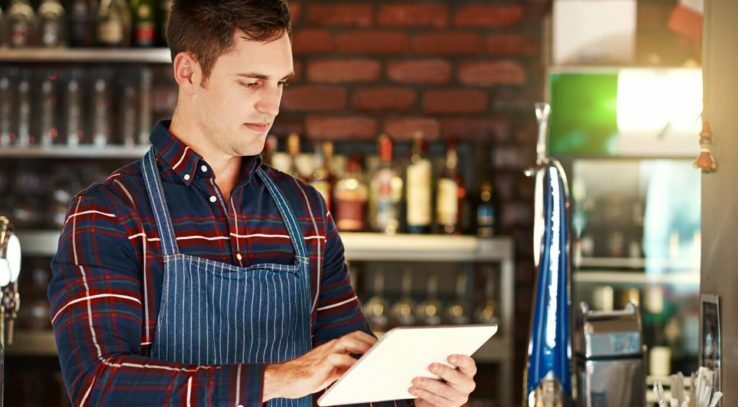 If your new business is generating a healthy amount of revenue but you’ve been in business for less than a year, a merchant cash advance online is the quickest way to obtain the funding you need to grow. Our goal at Merchant Cash Group is to partner with business owners that need a steady and reliable source of funding, so they can reach their goals. We know a new business takes time to develop and we offer the funding and support it takes to get there. Interested In Merchant Cash Advances? Get More Information Now! A merchant cash advance online could be the best choice for our business. If you’re interested and want to learn more, head to Merchant Cash Group now to get started and see if you qualify for a merchant cash advance online!